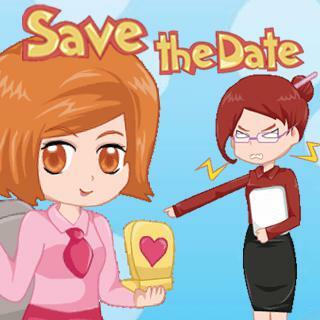 Play Save the Date and more Girls Games on Games1.com! Friday evening, weekend is just around the corner and motivation in the office has reached a new low. Instead of finishing some boring work, you'd rather dress up for your date with your boyfriend, but your boss won't be pleased to see this. Apply nail polish, put on mascara and use blush to add a nice glow to your face: finish all mini games to look hot for your date, but be careful and don't let your boss catch you slacking off!